On Friday night, Fabrice Charles is planning to go to bed early so he can get a good night's sleep. He's got a big day on Saturday, when he'll join hundreds of thousands of other students taking the new summer SAT. "I get stressed really easily," he says, "so I've just got to relax and think back to my exercises." For the first time since the 1970s, the College Board is offering an August SAT testing date and the rising high school senior in Boston says he's ready. The test will come a full six weeks before the October test (traditionally the first time in the school year students could take it). This marks a welcome change for seniors who want to take the test one last time before application season, or who want to apply early to college. It may also help younger students who don't want to take the test in the midst of a heavy junior-year workload. The idea of a summer date bubbled up in 2012, when the College Board launched a small pilot program where students could take the SAT at Amherst College in Massachusetts. Students paid a whopping $4,500 for the summer enrichment program and the test cost. There was outrage, and the College Board ultimately canceled the program. But requests from counselors and students poured in. "School counselors have been asking for this for a long time," says Jennifer Ertel. She helps run the college readiness department at Houston's public school system. "October is just too late." But Ertel says students often don't receive their scores until late May, which means that if they need to retake the test, the May test date has passed and the June option is too soon to hunker down and study. "When we did school-day SAT testing, it meant that 90 percent of our students had a score," she explains. "But is it a score they need to get into the university they want? Not quite. So this idea of being able to test again in the summer is big." The early date may also help students get more money for college, through scholarships or merit-based aid, Ertel adds. But do low-income or underserved students really benefit from the summer date? "To be honest that's not really their goal," says Bob Schaeffer of FairTest, a watchdog group that is critical of standardized testing. "It's a shrewd marketing move for the College Board, because it responds to a demand by middle-class and suburban schools and kids." So why did this take so long? One reason is that most SATs are given in high schools — buildings that are closed in the summer. Plus teachers and other staff who often facilitate are away or not working. Nearly 25 percent of students currently take the SAT for free, as part of the College Board's SAT fee-waiver program. These waivers are distributed by high school counselors, which can make them difficult to get in the summer, when staff members aren't around. Ertel says she made sure to collect a bunch from her staff at the end of last year, in order to have some when parents and students needed them in the crucial weeks before the registration deadline. "I think many families will be interested in getting an edge for their child," says Lori Chajet, who co-directs CARA, a nonprofit that works to improve college access. "But I think, ultimately, it's mostly going to help middle- and upper-class students." She points to the opportunity for better-off students to take SAT prep classes over the summer, when there are no classes. Such programs can cost thousands of dollars. One low-income student from Maryland explained this to me as a "pay-to-play" model. She said she couldn't afford a prep class or test-prep books. Instead, she went to her local library, where the only SAT book available was 10 years old (and from a different version of the test). There are now some free test-prep offerings. Two years ago, Khan Academy, the online education nonprofit, started offering online tools and practice tests. And students are taking advantage. Fabrice Charles, a Boston 17-year-old who will take the test on Saturday, says he has been trying to fit in an hour a day this summer on Khan's site. He has already taken the SAT once, last spring. But he says he needs a higher score to get a scholarship to Boston University. He's using a waiver to take the SAT a second time. His family has the Internet at home, but many low-income students don't — and that's another concern being raised about the summer date, when those students don't have access to computers in their schools. About 5 million households with school-age children lack high-speed Internet service at home. A large number of those homes are low-income families or members of minority groups, according to the Pew Research Center. Advocates for greater college access also point to the summer melt — a well-documented phenomenon of academic loss over the summer months, particularly for low-income students. Taking a test after weeks away from the classroom won't adequately measure what a student is capable of, they argue. "This seems like, 'What's the harm? It's another opportunity for students to do better' " says Chajet. 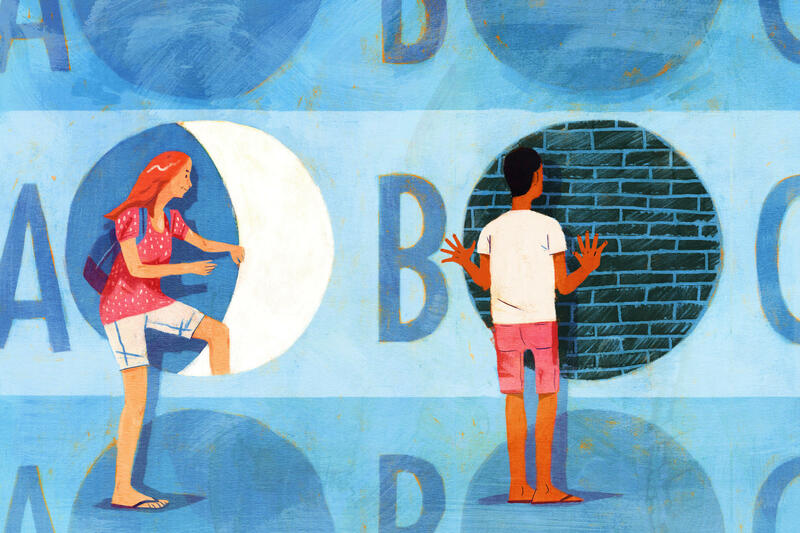 "But if you're trying to widen opportunities, I don't think that having an August SAT date is going to help unless it can be used to push for year-round college counseling support in schools, or summer-enrichment programs for low-income students." In addition to pushing for more resources for low-income students over the summer, there is some hope that testing earlier will help all students be in a better position to apply early to college. Research shows that low-income students are less likely to do this currently, in part because a big factor in their decisions rests on financial aid offers. And also because they've been less prepared, or given the support to help them consider, where they want to go. Many educators say that if schools offer college guidance over the summer, to support the summer test dates, that could ultimately benefit low-income students who don't have the parental support to start the process early. It's also possible that having scores earlier could help students make smarter choices about where to apply, and ultimately attend. Fabrice Charles is hoping that's the case for him: A higher score now will help him get the best scholarship early. He says he's looking forward to making a good breakfast before the test to help calm his nerves. Probably eggs. Tomorrow marks the first time since the 1970s that the SAT will be offered in the summer. We're going to take a look at what the earlier date could mean for the hundreds of thousands of students who'll be taking the college entrance exam and which students this is actually helping. Elissa Nadworny from the NPR Ed team has our story. ELISSA NADWORNY, BYLINE: When I asked students about how they're getting ready for tomorrow's SAT, nearly everyone mentioned breakfast. ANNA DELAHUNT: Oatmeal is delicious. And it kind of feels like the food you should be eating before a big test. FABRICE CHARLES: Me, I like to get egg and sausage before I take a test. NADWORNY: Both Anna Delahunt from Tennessee and Fabrice Charles from Boston said having a full stomach is key. Blossom Pianwi from Washington, D.C., recommends getting a good night's sleep. BLOSSOM PIANWI: Eight hours. Don't be up on social media and things. And relax, don't overthink it. NADWORNY: No one was especially excited about sitting for the test on a summer Saturday, but Anna Delahunt is relieved to have an option to take it early. DELAHUNT: During the school year, especially when you have lots of AP and honors classes, it can be really hard to manage the workload. JENNIFER ERTEL: For our kids it just opened up a world of access that just wasn't even there before. NADWORNY: Jennifer Ertel helps run the college readiness department at Houston's public school system. ERTEL: The counselors across the nation have been begging SAT to do one earlier because October's just too late. NADWORNY: The August test comes a full six weeks before the October test, which is traditionally the first time in the school year that students can take the SAT. The earlier date lets seniors get the scores before college applications are due. It also helps students who are applying early. Fabrice Charles, the 17-year-old in Boston, took the SAT last spring. But he'll be trying to get a better score tomorrow to qualify for more college money. NADWORNY: He says he'll qualify for a full-ride scholarship at BU. NADWORNY: His test tomorrow will be free. He's among the nearly 25 percent of students that use a fee waiver from the College Board. But waivers are distributed by school counselors, so they can be harder to get during the summer in those crucial weeks before the registration deadline. LORI CHAJET: I think ultimately it's mostly going to help middle- and upper-class students. NADWORNY: That's Lori Chajet, who co-directs the nonprofit College Access: Research and Action. She says it's a smart marketing move. CHAJET: The College Board is going to collect more money. I think that many families will be interested in getting an edge for their child. NADWORNY: The August test date puts the SAT few weeks ahead of its competitor, the ACT. That test is in early September. CHAJET: This seems like, what's the harm? It's one extra test date. But I think what is going to happen is it is going to create more inequity. NADWORNY: Chajet points to research that shows academic loss over the summer months, especially in low-income communities. Sure, there might be time for an SAT prep class, but that can be expensive. Some cost thousands of dollars. There are some free study options online. Khan Academy offers study tools and practice tests. Fabrice Charles used it to study this summer. CHARLES: I didn't practice, like, every day. But I practiced, like, often, like, almost every day. NADWORNY: He has Internet at home, but the Pew Research Center says nearly 5 million families with school-age children don't. Elissa Nadworny, NPR News, Washington. (SOUNDBITE OF RJD2 SONG, "GHOSTWRITER") Transcript provided by NPR, Copyright NPR.